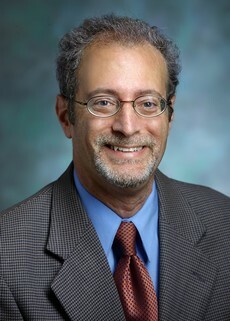 Lawrence J. Cheskin, M.D., F.A.C.P., is Associate Professor of Health, Behavior & Society, with a joint appointment in Human Nutrition, and in Medicine (Gastroenterology) at Johns Hopkins. Dr. Cheskin founded the Johns Hopkins Weight Management Center in 1990. He is the principal investigator on several research grants and a frequent contributor to research and popular articles on obesity and weight management. He is the former director of the Gastroenterology Division, Johns Hopkins Bayview Medical Center, and serves on the Faculty Editorial Board of the Johns Hopkins University Press, and the Faculty Advisory Panel of the Johns Hopkins Health Review. Lin M, Mahmooth Z, Dedhia N, Frutchey R, Mercado CE, Epstein DH, Preston KL, Gibbons MC, Bowie JV, Labrique AB, Cheskin LJ. Tailored, interactive text messages for enhancing weight loss among African-American adults. The American Journal of Medicine, 128(8): 896-904, 2015. Davis LM, Michaelides M, Cheskin LJ, Moran TH, Aja S, Watkins PA, Pei Z, Contoreggi C, McCullough K, Hope B, Wang GJ, Volkow ND, Thanos PK. Bromocriptine administration reduces hyperphagia and adiposity in (fa/fa) Zucker and diet-induced obese rats and is associated with dopamine (DA) D2 receptor (D2R) and DA transporter (DAT) levels. Neuroendocrinology 89(2):152-62, 2009. Cheskin LJ, Frutchey R, McDermott AY, Esposito L, Lee BY, Kumanyika S. Motivating systems-oriented research on environmental and policy changes for obesity prevention. Pediatric Obesity, doi: 10.1111/ijpo.12132, 2016. Cohen A, Perozich A; Storey; D, Rajan R; Persky S, Parisi J; Bowie J; Fahle J; Cho J; Krishnan A; Cohen Z; Ezike A; Schulte C, Ahmed SR, Cheskin LJ. Framed, interactive, theory-driven texting: Effects of message framing on health behavior change for weight loss. Fam Community Health. 40(1):43-51, 2017. PMID: 27078754. Fallah-Fini S, Adam A, Cheskin LJ, Bartsch L, Lee BJ. The additional costs and health effects of a patient being obese or overweight: A computational model. Obesity, 2017.